“We’re acting as a catalyst to existing anti-pollution momentum,” said Pavan cofounder Preethi Raju. 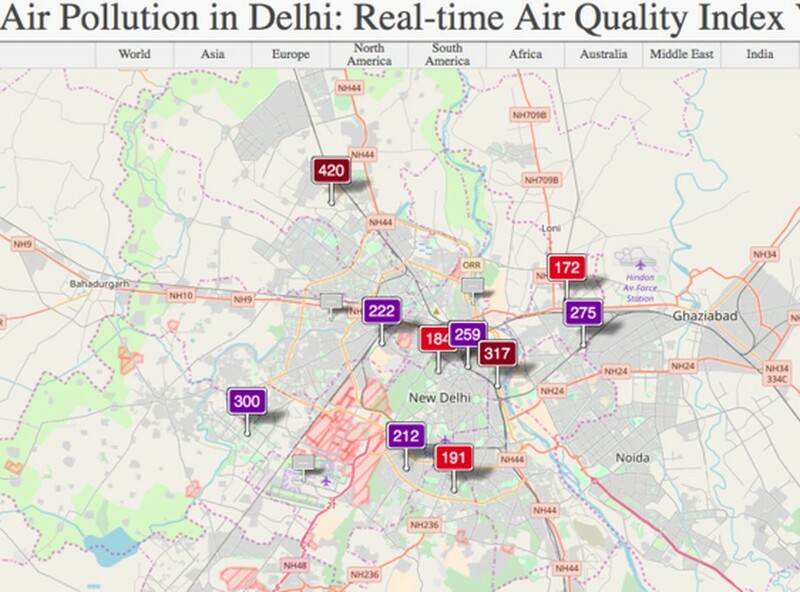 A team of UChicago students recently began pilot tests of an app, called Pavan, which will provide pollution alerts and guidance to people in India in order to combat the health effects of air contamination. According to the team, 50 participants across Delhi have signed up to receive alerts for monitoring local air pollution. Fourth-years and cofounders Preethi Raju and Shaili Datta and first-year Jiaqi Gao, Pavan's chief technology officer, said they hope to improve pollution monitoring equipment in major Indian cities as well as eventually expand the app’s coverage to rural areas. The app aims to present air pollution data in an understandable manner in multiple Indian languages to educate Indians in both urban and rural areas. Unlike many online air pollution databases, the Pavan app will be free for smartphones and will provide users with steps they can take to improve their health. The app plans to alert users when air pollution levels reach dangerous limits and suggest various steps such as wearing a mask or staying indoors in order to minimize health risks. Though the Indian government has received criticism for its lack of environmental oversight, Pavan hopes to pressure government action by spurring a grassroots movement which draws on individual activism. The app recently placed third in the Polsky Center’s College New Venture Challenge, winning a $3,000 prize. Though the team has been seeking investor support, they hope to keep their business venture second to their overall message. “We’re not focusing on making money off of it more than our social impact. We will be sustainable and making money, but our main objective is helping people,” Gao said. The Pavan team is currently encouraging new members from a variety of academic backgrounds to join.